September is almost here and now that both Microsoft and Sony have announced their free games lineup for the month, via Games With Gold and PlayStation Plus, it’s time to look at which is offering the better value for gamers. As always we’ll look at several different areas and compare them such as the price value, how well the games were received by critics, and how old the games are. Keep in mind this is just our opinion on which is better for the month as every person has different tastes and may like certain games better than others. Which is better in September? Let’s find out. Games with Gold is offering four titles as always with two on Xbox One and two on Xbox 360. Prison Architect: Xbox One Edition and Livelock are your free Xbox One games this month. LEGO Star Wars III: The Clone Wars and Sega Vintage Collection: Monster World are your free Xbox 360 games. As always you can play the Xbox 360 games on your Xbox One thanks to backward compatibility. Now let’s look at what the games are worth. So looking at the lineup you get $70 worth of free games in September which is down from $120 that Games with Gold offered in August. The biggest valued game this month is Prison Architect at $30 and the other aren’t worth much at all. After such a great month last month it’s disappointing to see Games with Gold slacking in the value department once again like it has so often this year. Now let’s look at the PlayStation Plus lineup. In September, PlayStation Plus members are getting 8 games for free if you count the two bonus games from last month that are still free this month. On the PlayStation 4, you are getting both Destiny 2 and God of War III: Remastered. In addition, both Knowledge is Power and Here they Lie are also still free. On the PlayStation 3, both Another World 20th Anniversary Edition and QUBE: Director’s Cut are free. Sparkle 2 and Foul Play are the free Vita games and round out the lineup. It’s also worth mentioning that every game this month is Cross-Buy with the PS4 meaning all eight games are free to play for PS4 owners. Some are also Cross-Buy with the other two platforms as well. Now let’s look at the price values. So for the ninth month of 2018 you are getting a total of $116 in value which is $50 less than last month. Now that’s not including the two bonus games from last month that are still part of the lineup this month so you can add them in for additional value if you want. Destiny 2 is the biggest contributor here costing $60 digitally still. God of War III is OK value and all of the others range from $10 to $8. It’s a great month overall for value though. So when comparing both lineups there is no contest here as PlayStation Plus wins with a $116-$70 difference. That’s a pretty huge difference even if PlayStation Plus does offer more games overall. Regardless, you’re getting more value this month on both services than what a year of membership costs so it’s a win for both services. So looking at the Games with Gold lineup you end up with an 75 average score between the titles which is the same as the average last month. For the most part though the games scored well with Prison Architect being the highest with an 80 and the rest scoring somewhere in the 70 range. Overall, you’re getting some good titles on Games with Gold in September. Now let’s look at the PlayStation Plus lineup. So looking at the PlayStation Plus lineup you end up with a 75 average which which is up big time from the 63 the lineup had in August. It helped that the PS4 games this month both scored in the 80’s but the rest of the lineup as a whole was better than last month with two games scoring in the 70 range and the other two scoring in the mid to high 60 range. Overall it’s a pretty solid lineup of games for subscribers to play. So when comparing both lineups in September, both services tie with a 75. In this area Games with Gold usually has an advantage regardless due to there being more games on PlayStation Plus which usually results in a lower average. The same can be said in the value category however. Either way both lineups offer some good games this month and it’s up to the gamer to decide which games look more interesting to them. So looking at the Games with Gold lineup we have two titles that are just over two years old, one title that is over six years old and one title that is over seven years old. 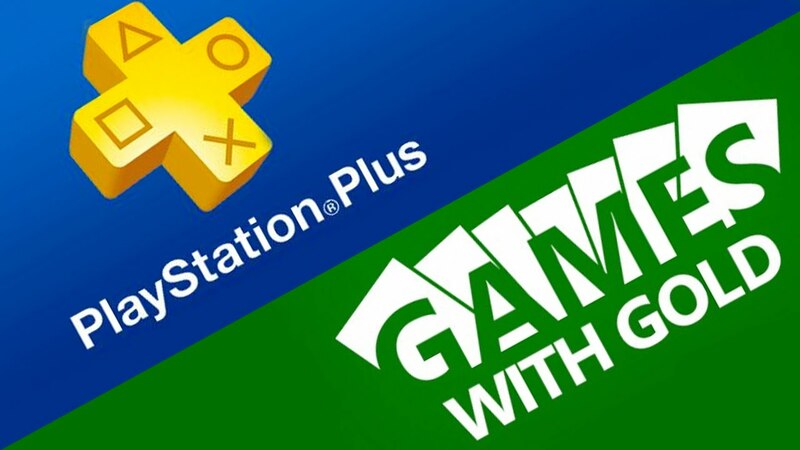 Now let’s look at the PlayStation Plus lineup. Looking at the PlayStation Plus lineup, you have one game that is less than a year old, one game that is over two years old, two games that are over three years old, and two games that are over four years old. So when comparing both lineups PlayStation Plus comes out as the winner. They have a AAA game that is less than a year old and no game is more than four years old. Games with Gold’s newest game is over two years old and they have two games that are six and seven years old. Again this area might not mean anything to you but some gamers like getting newer games for free as there is a lesser chance that they have played them. So for the ninth month of 2018, PlayStation Plus comes out as the overall winner with a 2-0-1 win over Games with Gold in the compared areas. PlayStation Plus wins in the Value and Game Newness categories and tied with Games with Gold in the Score category. All of this doesn’t really mean anything though and as always it’s up to each gamer to decide which lineup is better for their individual tastes. Be sure to let us know in the comments which lineup you like better in September. This whole exercise is so silly.